Lightning Bolt once set Modern’s high-water mark: the most efficient and flexible removal spell at its price point, Bolt dictated which creatures did and didn’t see play in Modern almost single-handedly. Today, Bolt’s no longer the end-all-be-all of Modern kill spells. Instead, a diverse array of removal contributes to a colorful patchwork of playable creatures. This article ponders Modern’s switch from limited removal options to an embarrassment of riches, divides combat creatures into four categories based on their preferred stage of a game, and unearths a couple sleepers for this battle-based metagame. Precious few creatures were in fact playable in Modern during Bolt’s unchallenged reign. Bigger stats tend to cost more mana; as a result, players were incentivized not to run creatures with 2 or 3 toughness, as cheaper alternatives with just 1 toughness died to Lightning Bolt all the same. I even advocated for cards like Tarfire and Peppersmoke as Lightning Bolt analogues, since they fulfilled a similar function. In “A Fatal Push Retrospect and the Future of Fair,” I remarked that significantly more creatures became playable with Fatal Push in the picture. The bottom-light creatures surfacing in Modern mostly cut into shares previously occupied by spell-casting value creatures (newly replaced in part by cheaper utility options, i.e. Meddling Mage) and Tarmogoyf (newly replaced in part by other combat creatures, i.e. Young Pyromancer). Fatal Push turned Modern on its head—looking at a pre-Push most-played-creatures list reveals that virtually every creature would have died to the instant. With the exception of a few new archetypes (RG Ponza, which employs Inferno Titan) and some Push-wise adoptions from aggro-control decks (namely delve creatures), the kill spell still nabs most of Modern’s creatures for one mana. In this sense, it’s like a Path to Exile Jr., except Push can fill the role Lightning Bolt once did in many decks of removing creatures early before getting other engines online. Path has historically left much to be desired there, since it ramps opponents during those critical turns. The result? Fewer Bolts, more Pushes. Therefore, more creatures that die to Bolt; if they’re unsafe, they’re unsafe, right? And if more creatures see play than ever, it follows that more removal spells are viable than ever. Push’s domino effect has led not just to a diversification of playable creatures, but a diversification of playable removal. Current Modern players should expect to run into all sorts of removal. Toughness stats of 2 and 3 finally matter: Collective Brutality and Electrolyze don’t kill Spell Queller, nor does Gut Shot nab Goblin Guide. But the former two play important roles in their respective decks, and the latter has become a necessity for color-light decks like Eldrazi Tron and Humans to keep up with small creature strategies. That such diversity yields bizarre scenarios adds to Modern’s density. For instance, while testing a Sultai brew the other day, my Hollow One opponent beat me with a singleton Tasigur as I stared dumbly at my own singleton Cast Down. Removal options as diverse as their targets can feel disorienting in nonrotating formats, which are sometimes expected to lean heavily on their most obvious answers. But that’s where we are in Modern. Heck, in my latest brew, I’m still on a Firespout/Anger of the Gods split in the sideboard and run five different removal spells in the main deck. More playable creatures means more playable creature decks, and the rise of different attack-and-block strategies has partially shifted Modern’s focus on stats away from kill spells and towards combat. After all, after damage-based removal, toughness matters most in the face of other creatures. My last article called out Wild Nacatl as a big loser in the new Modern, but perhaps prematurely. Nacatl is still a hyper-efficient combat creature, or threat that attacks and blocks efficiently independent of other nonland permanents. It walls most unpumped bodies in Humans, for example, not to mention Modern standbys Snapcaster Mage and Goblin Guide. Based on how early they resolve, I’m calling Nacatl and Guide Stage 1 combat creatures. Combat is their specialty, so combat creatures at this stage have the upper hand in a fight over Stage 1 and even 2 utility creatures, as in those native to Humans. Sorting popular combat creatures into stages illuminates the different roles creatures play in their homes, and can subsequently help with deckbuilding and tuning. This section outlines the attributes of each stage. Stage 1 creatures always come down on turn one. Their role is to put opponents on the back foot, either slowing down their development as they deal with the threat or contributing to a blossoming board advantage that will end the game quickly. They tend to care little about removal because they all trade at mana parity or better with available options. Lightning Bolt, Fatal Push, Gut Shot, and Collective Brutality are commonly run to answer Stage 1 creatures; the first two kill every Stage 1 creature, while the last two narrow their sights to provide other benefits. Not all aggro decks run Stage 1 combat creatures, but many with an aggressive bent include at least one. It’s common to either run a single Stage 1 threat, to help with curving and punish an absence of lightweight removal (as does Hollow One), or to run many at once, overloading all removal (as does Zoo). Omitted from the above list are tribal synergy and aggro-combo creatures. Mausoleum Wanderer and Signal Pest exist primarily to front damage, but they don’t succeed without a supporting cast; similarly, Glistener Elf flounders in the absence of pump spells. Bomat Courier also puts opponents on the back foot early, but doesn’t excel at combat in the traditional, stat-based sense. None of these creatures particularly want to interact with opposing creatures, whereas combat creatures by my definition are happy to, and able to do so alone. Stage 2 creatures appear on turns two-three, or on turn one with some luck. They aim to establish a clock after opponents have been lightly disrupted, to clean up the mess once opponents deal with a Stage 1 creature, or to contribute to a game-winning board state. They have built-in protection from Lightning Bolt: some have 4 or more toughness, others a recursion mechanic, and others still a way to lock in value before opponents receive priority. All but Death’s Shadow and Tarmogoyf resist Fatal Push. To their credit, Shadow and Goyf make up for their weakness to Push by outgrowing every other combat creature in Modern. 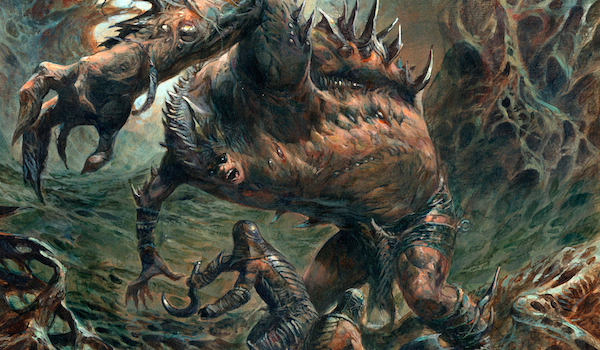 In this metagame, Stage 2 threats make up the bulk of Modern’s combat creatures. Absent from this list is Knight of the Reliquary, a Stage 2 creature that offers plenty of power/toughness for the mana cost. Despite its body, Knight is played mostly for its tutoring abilities, or as a combo piece alongside Retreat to Coralhelm; even when it emerges turn two off a mana dork, Knight generally doesn’t enter the fray until later. Scavenging Ooze and Tireless Tracker are also played chiefly for utility reasons, and these creatures require a sizable mana investment before growing past their mana costs. I don’t consider any of them combat creatures. Stage 3 creatures are deployed on turns three-five. Their job is to heavily pressure or disrupt opponents while contributing significantly to the red zone. These creatures generally swing the tide of a game and form the top-end of many interactive aggro decks. At this price point, playable Modern creatures have both combat and utility applications. Thought-Knot Seer is frequently cast for its Thoughtseize effect, but it’s still played due to its strength on the battlefield; Tron, for instance, wields the card not just to disrupt combo, but to throw a wrench in opposing aggro plans and provide an alternate win condition in the face of nonbasic hate like Damping Sphere. By letting pilots operate on a traditional, stat-based combat axis, its inclusion there is similar to Tarmogoyf‘s in old Infect sideboards. These creatures typically resolve on turns five or later, once the game state has been stabilized. They are relatively rare in Modern, as planeswalkers often occupy this closer role. 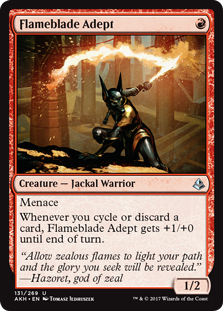 But they still offer attractive alternatives in certain colors, and off-brand win conditions even for planeswalker-rich combinations like UW. Stage 4 creatures are played less frequently in aggro decks than in control, combo, and ramp, which makes it awkward to even call them combat creatures; nonetheless, their on-field duties primarily involve attacking and blocking. The new Modern, no longer as restrained by the Bolt Test, is a breeding ground for creative deckbuilding. There’s still lots to explore, both in terms of novel decks and defensive strategies for existing ones. I mentioned Gut Shot above; despite its narrowness, that’s the only spell that trades at a parity gain with Stage 1 creatures. But I think some other Phyrexian spells boast even more promise in this metagame. Dismember is the cheapest spell in Modern that removes any creature for one mana, no-questions-asked. Path to Exile gives opponents a land, making it awful in the early turns; other candidates cost two mana or more. The only threats Dismember doesn’t touch are Etched Champion, which is impervious to all removal spells; a couple of Stage 4 combat creatures; and the aforementioned huge Shadows and Goyfs, which pay for that privilege by trading cleanly with Fatal Push. The only issue with Dismember is where it fits: in a combat-focused metagame, 4 life can seem like a steep price to pay. But I’ve found the card to excel in any aggressive shell with a fine Burn matchup. Unequivocally sniping opposing creatures is exactly how to win the combat mirror. The card gets even better in builds with Faithless Looting, which can dump Dismember for something else should they draw it while low on life. Grixis Shadow seems to be packing a pair moving forward, and I’d be surprised if more spell-based combat decks didn’t consider adopting Dismember in the near future. Changing the math by 2 creates a major swing in a format featuring so many toughness-matters removal spells. By now, I’ve saved an unflipped Delver of Secrets from Collective Brutality and the like countless times. Growth also shines at countering Lightning Bolt, something it does for all Stage 1 combat creatures (barring fresh Champions of the Parish). But you haven’t lived until you’ve saved a Stage 2 creature from Dismember! Mutagenic Growth is equally impressive in combat. For starters, Growth dismantles the stat hierarchy within a stage: Thought-Knot dies to Tasigur, which dies to Gurmag, which dies to most contemporary Tarmogoyfs, etc. But it also lets creatures transcend the stage levels: Wild Nacatl now eats Hollow One; Hooting Mandrills suddenly outsizes Reality Smasher. 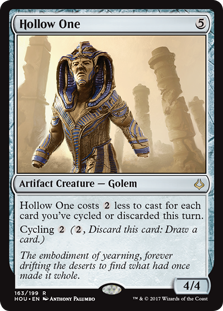 Best of all, since Growth costs zero mana, it can be cast at any time and by decks of any color combination. On splashability, though, many Modern decks are too streamlined to want multiple Growths main. But we did see the card surface in Eldrazi sideboards during Eldrazi Winter, another combat-heavy format full of toughness-based removal. Death’s Shadow Zoo appears to have legs right now, and is the most obvious home for the card. That said, I hope we see Mutagenic spring up as a one- or two-of in more popular aggro decks. I just know I’ve championed the card in Delver for ages and have been especially impressed with it lately. More creatures are playable in Modern than ever, and the same is true of removal. But I think players will continue to enjoy success with narrower answers if they remain aware of the points gained and ceded by their choices. In any case, choice is the name of the game. What’s your Lightning Bolt? With more creatures wanting to play fair game, do you think prison decks like Lantern, Sun and Moon, and Enduring Ideal are decently positioned to steal an FNM or two? Or dare I say, a pptq? For sure! I think most decks are viable in Modern right now and the field is ripe for anyone who knows their matchups. The main issue I see with Bridge is how slow it is, especially against Bridgevine—but that deck should struggle to win through an active one. It seems better against the slower Hollow One deck despite Ancient Grudge.